In the midst of what was becoming one of the better rap beefs in recent memory, “it’s all over with” now—thanks to J Prince some conversations that were had. Although Pusha T set the stage for numerous rounds of a “surgical summer,” it looks like he was forced to lower the scalpel. Yeah. I mean, listen: I’m ready to be back to the music for real. Just feeding my base, that’s it. That’s the most important thing to me at all times. 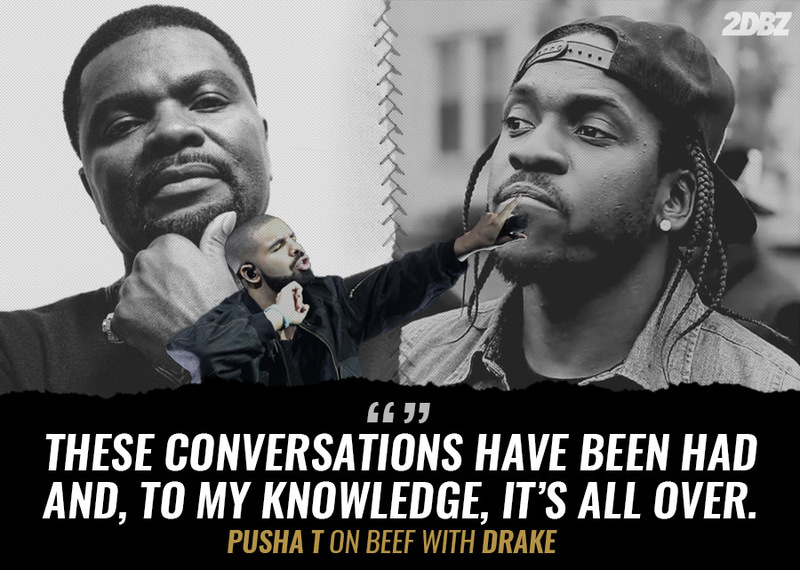 The conversations being referenced are those between Kanye West, Drake and Triple OG/Rap-A-Lot Records founder J Prince, who said lines were crossed on Pusha T’s “The Story of Adidon” and, after hearing Drake’s supposed “career-ending” response, felt like things were getting beyond rap and would get out of hand.